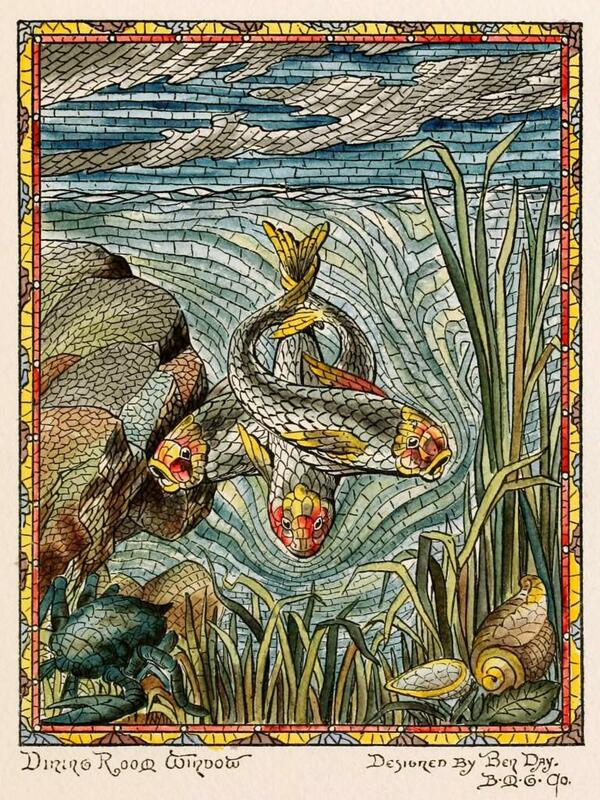 History of stained glass: Belcher Mosaic Co stained-glass windows from the 1880s. 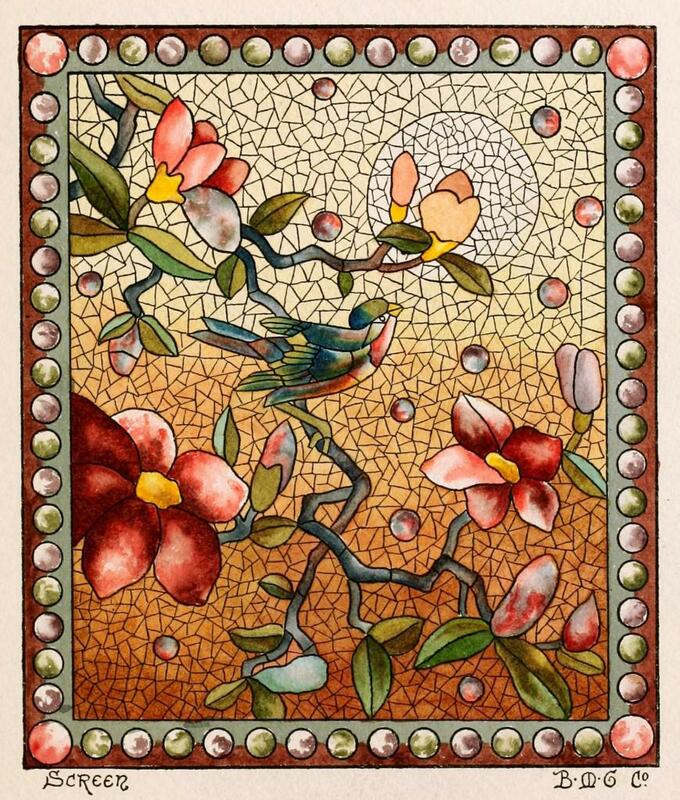 In an 1886 catalog, the Belcher Mosaic Glass Company advertised stained-glass windows to late-19th-century homeowners and businesses. Belcher catered to Victorian tastes with these sample designs, leaning heavily on natural motifs. 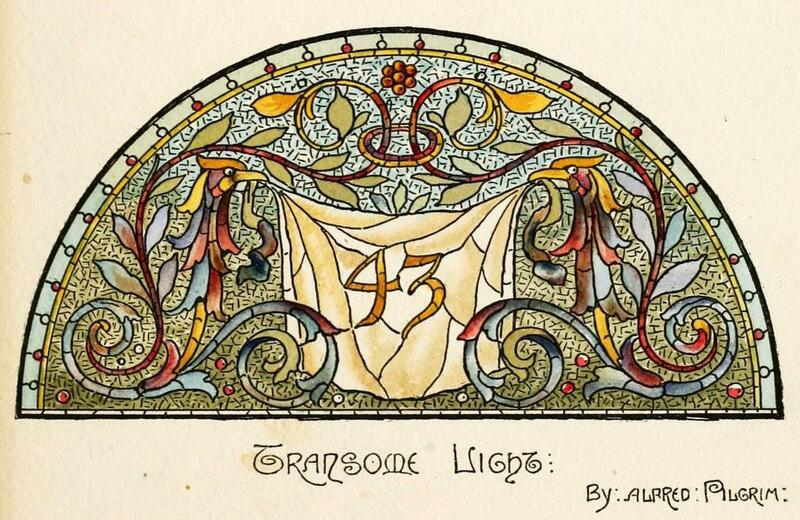 “It is true that the medieval glass-worker was compelled to make a mosaic of his window, as glass in his day could be had only in small pieces,” stained-glass designer Caryl Coleman wrote in his introduction to the catalog. The modern artisan, Coleman argued, had better mechanical and chemical techniques at his disposal, and could produce mosaic windows of unprecedented complexity and beauty. 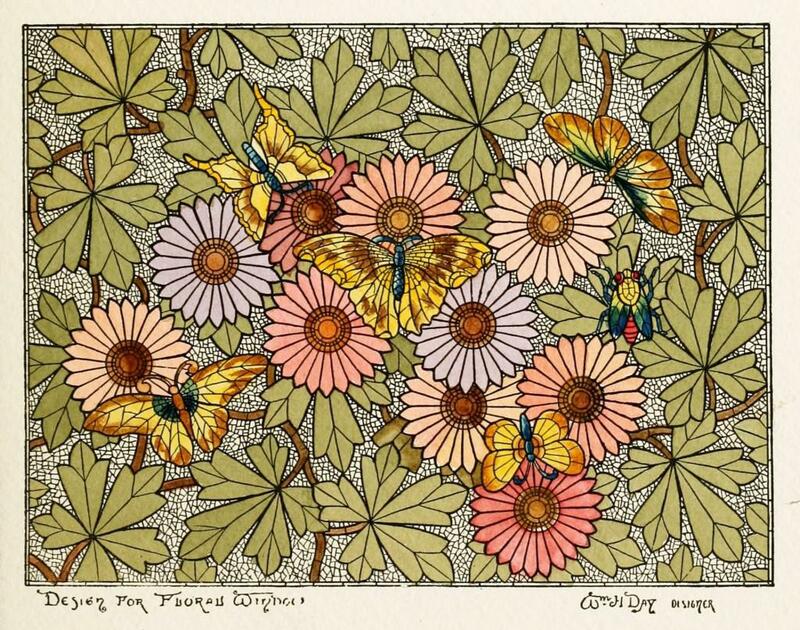 Archivist Natalia Vogeikoff-Brogan writes that Henry Belcher applied for four patents for his mosaic process between 1884 and 1889. 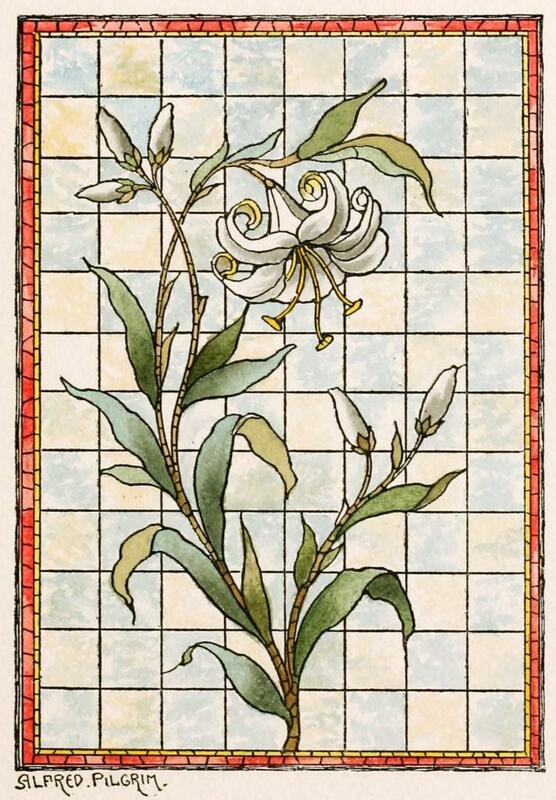 To make its windows, the New York company assembled small pieces of glass—“not larger than one half-inch across”—into the desired pattern, arranging them around larger pieces of glass used for some of the elements of the designs. The whole mosaic was then sandwiched between two larger sheets of asbestos. The artisan poured in a liquid metal alloy, which would snake its way between the pieces and bind them together. 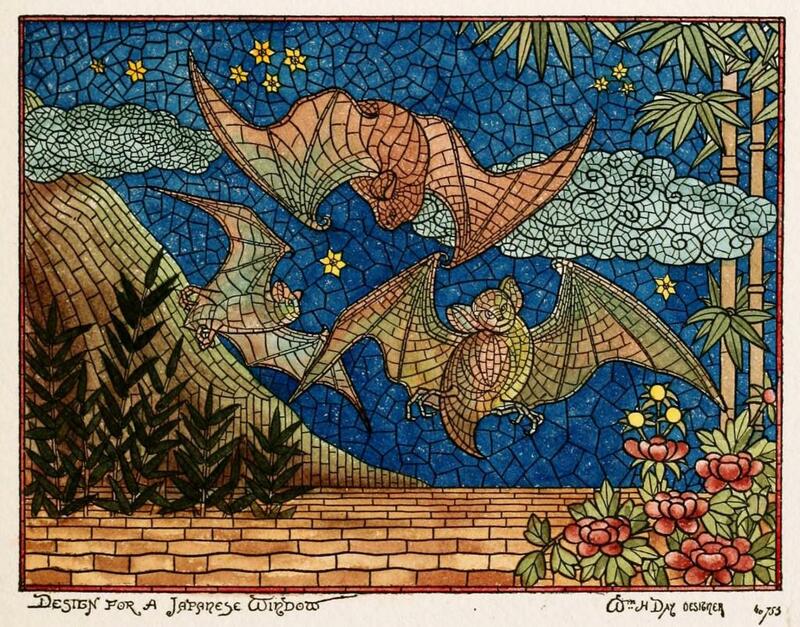 Barbara Krueger, of the Michigan Stained Glass Census website, writes that the Belcher Mosaic Glass Company went out of business in the late 19th century, probably because “the style no longer appealed to the buying public, and because of the difficulty in repairing the windows.” In her research, carried out in the 1990s, Krueger found examples of surviving Belcher windows in homes, churches, and government buildings in 12 states in the East, South, and Midwest. 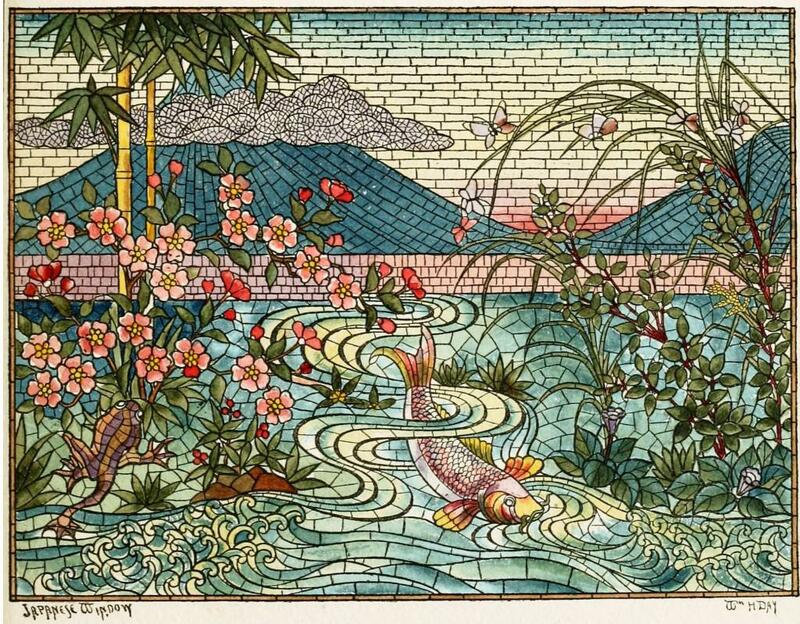 Belcher Mosaic Glass Company catalog, 1886.